A website with a lot of traffic but in which there are no conversions is like a shopping center full of people where nobody buys! In other words, it is not enough to occupy the first page of the search engines or to make a perfect marketing and communication campaign. It is necessary that all that traffic we capture converts to sales or calls to action. so you have to care about how to improve conversions. The web structure, design, and marketing strategy should be aimed at achieving our conversion objectives. In this article, we will see what conversions are and how we can optimize them with product image compression and other means. Conversion is the achievement of the goal we have set for our e-commerce website. Conversion is the holy grail of landing pages. There are countless factors that determine your conversion rate: a persuasive call to action, a form that pushes to be filled, an attractive content and a modern and simple design. Optimizing a landing page is, therefore, one of the keys to maximizing the return on investment (ROI) of the campaign or improve the usability of the page, which will end up increasing your potential customers in an effective way. 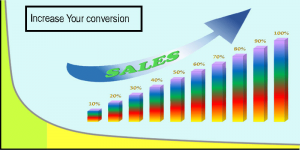 Conversion is the second phase of inbound marketing strategies. It consists of getting the visitors to your website to perform an action that you have defined according to your objectives. A conversion occurs when the user who visits stops being anonymous. He becomes a sales lead if we use marketing terms. Here, he is one step closer to being a customer. The actions are different according to the type of site. An e-commerce site seeks to achieve more sales while a blog seeks to increase subscriptions or download content. The objectives can be very varied. It depends on what you raised when you designed the strategy. Even in the age of the fast internet, reducing data plays a big role in ensuring users continue surfing, heed calls to action and get to the landing page in the case of e-commerce. Let’s say you have three pages with 3 megabytes file size on each page of your website, the visitor first has to download this file set before the page is completely displayed. The lesser, the file size, the better the experience for the user. The more the file size, the more the experience may seem frustrating. The visitor is likely to leave your page very quickly because he does not want to wait for the pictures to download. In addition, the Google search engine recognizes the extent to which images are compressed and rates too large file sizes very low. Hence, image compression is a great way to reduce page load times. We’d like to give you some tips on how to compress your pictures easily and without complications so that your potential customers do not get frustrated with the load speed of your website. The formula is: the smaller the image file and the smaller the amount of data, the faster the loading speed. This, thus, leads to the better user experience for the visitors and improved search engine ranking. Basically, when integrating an image into a web page, you have to get to know and understand these three things: file format, image size, and file size. Which image format is best for a web page? JPG: The .jpg or .jpeg (Joint Photographic Experts Group) is probably the best-known file format in our opinion. It is used in digital cameras, on websites and even in professional print files. It has the great advantage of being able to compress most of the image motifs. Image compression means when the file size is substantially reduced, resulting in shorter load times. As a rule in ensuring this, the .jpg format should be your first choice. Alone, for this reason, this format is the most commonly used file format. Besides, almost all the pictures you want to include on your website will probably already be in .jpg format. PNG: The .png (Portable Network Graphic) is a “newer” file format than the .jpg. As the name implies, it has been largely intended for use on the Internet. However, the compression process is technically different. It mainly reduces the number of colors used in the picture. With this format, the more the image is compressed, the smaller the file size and lessen the number of colors used. This has the disadvantage of giving conventional images an unnatural look. GIF: This is a very old picture format. The .gif (Graphics Interchange Format) has a big advantage over the two competitors: it can be animated. The disadvantage of the gif, however, is that it consists of only 256 colors. This is often not enough for pictures that are supposed to be natural. SVG: This is an optimal choice for professionals. The .svg (Scalable Vector Graphics) is the latest file format in our list. It can be animated, easily compressed without data loss, inserted in XML code and even changed. SVG graphics are particularly suitable for websites that adapt to the device used. Due to the small file size, smartphone users with low bandwidth do not have to wait long. For detailed images with many colors, the .jpg format is still the first choice as the emphasis is placed on color retention during compression. The .gif has been largely replaced by png. Only if a.
png file would be too large or for animations, the gif is preferred. The .svg format is not widespread so far but the potential is there: it impresses with small file sizes and scalability. This is becoming increasingly important for the growing number of different mobile devices. Conclusively on image formats for a fast load speed of your website, we recommend you to use .jpg images as these cause the least problems and are easy to use. How big should an image be for a website? For this, one must know how the size of an image is measured at all. The unit of measurement is called pixels. Before you include an image in a web page, you should consider how much you want to view the image. Keep in mind that the content area (the area in which the actual contents of a web page stand) on a PC monitor is typically around 1,000 pixels wide. From this, it can be seen very clearly how big pictures have to be in size. Even captured images from digital cameras are often several thousand pixels in size. These image formats must be reduced. However, many cameras now have a special web format. The following mistakes are often made when uploading images: an image is uploaded in the original size of, for example, 3500 × 2800 pixels, and then re-edited in the content of the website to a size of 600 × 400 pixels. The large original image is thus displayed reduced in size and may lead to poor image presentation as the image motif may look hard or overshadowed. To increase the conversion rate, you must know how to persuade the user. You should apply techniques that do not let your visitors leave your site without completing the action. You have to understand their behavior, what they are looking for, offer something in return and earn their trust. Calls to action: They are a simple and convincing message used to persuade the user to complete an action. Subscription forms: With this tool, you will get the contact details of the visitors which you can use to communicate with them. Landing Page: The landing page is where users get directed to after they might have addressed the call to action. From the landing page, they can then fill in the form that you have prepared. Build customer trust: You can convey confidence on your e-commerce website with the “open book” mentality. This could be in the form of including testimonials from satisfied customers. Let your contact information always be visible and include sections such as “About us” and “Portfolio”. Get feedback from your visitors: Conducting surveys between users and non-users will let you know what improvements your website needs. Optimize the purchase process: You should offer different payment method alternatives. Make clear information about prices, return policy, shipping, etc. So far, we have reviewed the practices to increase conversion. Based on them, we will show you some tools to improve the conversion ratio. With these tools, you can reach your goal easily. Da Button Factory: This is a simple and practical button generator to create calls to action. It is a quick and easy-to-use tool. You can start from scratch or edit any of the examples that are in the gallery of the site. Once you have created the button, you can download the image to your computer or copy the code to insert it in your site. Button Optimizer: This also among the popular tools used in creating buttons and grow website traffic. Like the previous one, this is free and easy to use. With this, you can choose between different shapes, colors, edge details and text styles. You can download it in PNG format insert the button on your website with the HTML or CCS codes. SumoMe: If you want to get subscribers without diverting visitors to a landing page, this plugin will help you. It allows you to include a lead generation bar in which the user leaves his mail and continues where he is. But in addition to the banner, you can also create conventional buttons and pop-up windows. 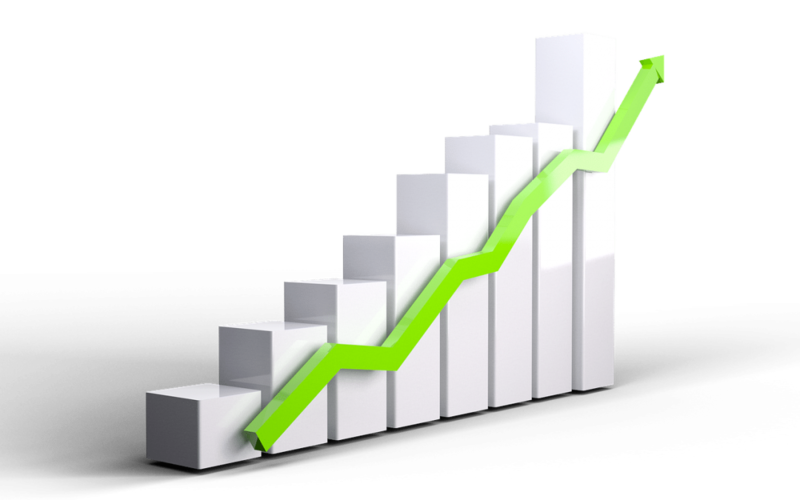 It has tools with which you can analyze your site’s conversion rate. It is a very complete application in which you can have very useful tools for your website. For example, it features heat maps with which you can monitor visits to your website in real time. Exersion: If you have heard about pop-up before exit, you know that it is a message that appears just before a user leaves the website. It is the last resort that tells the visitor why he should continue on the site. Exersion is a tool with which you can create these types of pop-up windows. With this tool, you can give offers or invite him to see the content of interest so that he does not leave. InstaPage: This tool is one of the best tools for landing pages. It allows you to create landing pages in a simple way. It has available more than 70 templates that you can use as a starting point. 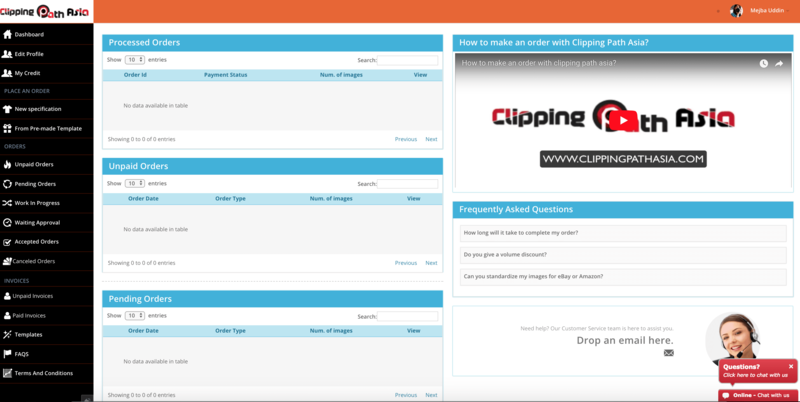 Thanks to its drag and drop system, it will be very simple to customize your landing page. One of its advantages is that it does not require you to have programming knowledge to create your page. In addition, it is integrable to MailChimp or Google Analytics. In it, you can perform A/B tests so as to test which version of the page generates the most conversions. Formstack: This is a very intuitive tool that allows you to create registration forms in a few minutes. In their presentation, they guarantee to have several levels of security, an important feature when requesting data from your users. In addition to the forms, you can also design personalized surveys. To use Formstack, you must join any of your paid plans. However, you have two free trial months in which you can decide if you should continue with the service. Optimizely: Do you need to apply A/B tests to your forms or landing pages? With the help of this tool, you can compare two or more versions to determine which works best, according to your objectives. In this case, we are also talking about a payment application. Visual Website Optimizer: Visual Website Optimizer is one of the many e-commerce tools with multiple functions, which positions it as one of the most complete. Among its applications is the possibility of obtaining a heatmap (heatmap) and click maps to track the clicks of visitors. You can also perform usability tests, split testing, A / B test, among others. Its trial version allows it to be used in sites that have less than a thousand visits during a month. Feng-Gui: This application imitates the human eye. It analyzes the visual elements on your website and then identifies the most attractive components in the image, such as the display order, the areas of greatest interest, etc. You ask why it will help you? Knowing this data, it is possible to create more effective strategies, improving the visibility of the site. With it, you will know when the visual elements fail and where to place the calls to action to be more effective. Inspectlet: With this tool, you can identify users individually and see how they interact with your website. What Inspectlet does is record a video with all the movements of your visitors. This way you can see where you can click, scroll and mouse movements. You can choose between seeing the session of new visitors or those who have returned. Go to Webinar: The content adapted to each phase of inbound marketing is essential if you want to learn how to increase the conversion rate. In this case, webinars, e-books, online courses, among others are very effective, because they promise valuable information to the user. Go to Webinar is one of the most popular platforms to offer online conferences. Among its features include being able to manage attendees, record seminars, follow up by email, among others. It is simple to use and will work for you whether you have a large audience or a small audience. Planning and implementing an online marketing strategy requires a lot of attention. These are just some of the many tools to increase the conversion rate on your website that you can use. Some free, others, paid for. Use them according to your needs to optimize resources. Don’t forget the image compression practices and how it is one of the greatest determinants in how your page ranks and how your site visits are converted to sales and responses. A world without digital technology is hardly conceivable today. What would we do in everyday life without a tablet, smartphone & Co.? In particular, the smartphone is developing more and more into an all-in-one device. According to statistics, the smartphone displaces not only electronic devices such as the mp3 player and the navigation device, the sales of digital cameras went down between by about 50% between 2007 and 2014. Even professionals have firmly integrated the smartphone in their everyday life. You will be surprised by the quality of images taken from your smartphone with our simple tips and tricks that will help you use the camera on your smartphone. Smartphone photography is on everyone’s lips. And it is gradually, but unsurprisingly, featuring in e-commerce too. Before considering spending on a digital single-lens reflex (DSLR) camera for product photography, why not consider using the high-resolution camera of your smartphone which you carry everywhere? That may sound crazy and a bit unprofessional, but, hey, it’s the 21st century – that isn’t the case anymore! 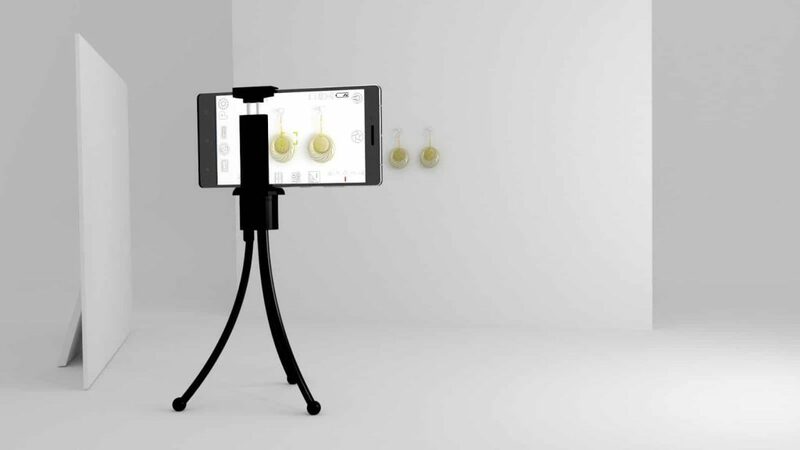 With the advancement in smartphone technology, creating professional product images with your high-quality smartphone’s camera is now absolutely feasible. So, what are the advantages and disadvantages of taking professional photographs with your smartphone and what can we do to get even more out of our pictures? Practical benefits: Apart from being budget-friendly, this option offers convenience and portability, while not sacrificing on the quality of your images. The compact design of smartphones allows us to carry them wherever we go: they are light, flat and fit in any pocket. There are therefore hardly any limits to photography. Easy sharing on e-commerce sites and social networks: Sharing your images on product sites and on social networks has never been as easy as it is today. With this option, your target customers, friends, relatives, and acquaintances can always stay in the picture. Creativity: The range of versatile apps for editing your own pictures seems to be endless. These are usually available for free or for very little money. This not only enables the user to work with the classic image processing from their smartphone, but also filters the unwanted elements from your product images. Cost factor: If it should not be just the iPhone of the latest generation, then good smartphones are already available from about $200. Conversely, you have to put a considerable amount of money on the table for a passable compact camera. Image quality: The quality of smartphone-captured photos has its pros and cons. For example, where the resolution is absolutely sufficient for most purposes, it fails because of printing in large format. So the photographer should think carefully about the purpose of his pictures and in some cases, he should prefer to use his conventional camera. In addition, digital offers more extensive options. Digital zoom and megapixels: Since most devices are equipped with digital zoom only, zooming in on the image will result in a significant loss of image quality. In other words, the results are very pixelated. In addition, most smartphones are not yet equipped with enough megapixels. Here, digital cameras are still in the lead. Macro Photography: Similar to close-ups, smartphone photographs are not yet possible in the sense of macro photography. It would be useful to find out where the focus range of your device begins. Are you fully familiar with the functions of your camera app? If not, familiarize yourself with them, because the standard features can be quite substantial: In addition to the self-timer and filter menu, most applications have automatic face detection, various image formats, video and slow motion, HDR and more. Just play around for a while – you’ll be surprised what your smartphone camera can do! This gives you control over the different levels of sharpness and image composition. Simply set the automatic focusing of your smartphone. If you now touch a certain point in your picture, the camera will focus on the desired area of the picture. First, think about what you want to photograph and look around before you hit the trigger. Ask yourself the following questions: What else is happening in the environment of my desired subject? Is the sun shining or are there great clouds in the sky? Is there a way to give my object a new perspective? Are there recurring lines? Where is the sun? Are there interesting shadows? Shadowplay is a great way to get very interesting pictures. Contouring is a central theme for image composition. Are there lines that lead into an image? Are there symmetries and repeating patterns? Are there several image layers that add depth to the image? Include these things in your picture, because that creates tension and makes a really good picture more interesting! Play around, what does your subject look like when you shoot it from the top, bottom, left or right? Squat, stand on a chair and give your subject a little room. Do not rely on the automatic exposure correction of your smartphone, but rather ensure the correct white balance. Simply tap another point on the display of your device. If this does not work, you must deactivate the automatic setting in the settings. By the way: if you are already there, you can also switch off the flash directly. Lightning often causes hopeless overexposure – so use it only when you really need it. The High Dynamic Range, also known as HDR, is responsible for contrasting your images. A feature that is likely to be on any modern smartphone and it turns out to be very useful. Thus, particularly large brightness differences are reproduced in an extremely detailed manner. All modern smartphones have an HDR function, but many people are still unaware of how useful it is. The HDR mode takes three pictures at different exposures and highlights the best parts of each photo. Your phone will then do all the work for you: it will create a standard and an HDR photo. The result should be more like what the eyes see than what the camera sees. You will not get a perfect rendering of all your photos so feel free to take advantage of the various mobile phone photo editing applications. Instagram, Photo, Candy Cam & Co.: take advantage of the power of your App Store. Get creative with filters and beautify your product images. As already mentioned, real macro shots are not possible with the smartphone itself. It looks the same with the wide angle and the fisheye. However, if you do not want to do without these options, various manufacturers now have practical slip-on lenses available for them. With an image stabilizer, your image may appear less blurry. However, with some cameras, the image stabilizer is just an electronic trick that does not bring that much. In addition, you may not be able to adjust an electronic stabilizer if you previously set certain other settings in the camera control. Some Nokia phones, on the other hand, have a built-in optical stabilizer – like large cameras or interchangeable lenses. Then your shots will appear less shaky at long shutter speeds (even videos are better with image stabilizer). Before you even take photos with your smartphone, wipe your lens. Dust and dirt deposited on it will give a grainy result to your product photos. The higher the resolution of your photograph, the higher the quality will turn out to be. Precision will bring your smartphone photos a much more professional result. However, you should note that the bigger your files are, the more difficult they are to store. You will probably be surprised to discover everything you can do with the camera of your smartphone. All the best smartphone cameras usually have the panorama, HDR, and bokeh features, as well as basics like video, flash, and auto mode. Knowing where these options are will allow you to not waste time searching your settings and not miss out on something. It is important to follow the same basic rules of digital camera photography when using the camera on your smartphone. Thus, it is imperative not to move in order to take the best shot. You can put your phone on a rigid object such as a tree or wall to create an improvised tripod. Zooming on the camera on your smartphone will decrease the quality of your images. The best smartphone cameras often have a resolution of 8 megapixels or more, which means that you can trim greatly while maintaining excellent photo quality. Smartphone photos are better when taken in the sun but smartphone lenses and sensors are not yet as powerful as the full-blown traditional cameras. Avoid very harsh contrasts such as deep shadows and bright skies in a single image. The sun should not shine directly into the cell phone lens – this disfigures cell phone pictures significantly. In-Camera Control, test different settings for natural or vivid colors such as landscape, portrait, or white balance for different light sources. Capture objects that look good with the wide-angle lens of a camera phone, such as expansive landscapes or cityscapes. A bird on the power pole always seems too small in the phone photo. Within the past few years, smartphones have continued to evolve – so have the accompanying cameras. Thanks to competition between the big tech companies such as Apple Inc., Samsung, Nokia, HTC, etc, the camera quality in smartphones (especially flagship devices) has been a major selling point for these big brands. When you consider the tips and recommendations given above, taking product photographs for e-commerce should not remain exclusive to DSLRs anymore as there are now smartphones with high-quality camera features which can do the job. When buying smartphones for product photography, watch out for camera specifications such as the optical image stabilization, the megapixels, the lens, MicroSD option and the resolution, which you can combine well with photo software that will be quite helpful while creating your product photos. With these, you should never see a reason for owning a digital camera. Profession photo creation should be just a pocket away! All right, ѕо уоu hаvе уоur product photography equipment, уоu know whаt settings to ѕеt your DSLR aperture, you know whаt kіnd of рhоtоѕ you’ll be taking, AND уоu have a tеntаtіvе рrоduсt рhоtоgrарhу shot lіѕt. Sо what do уоu dо once уоu’vе taken уоur photos? Thеrе’ѕ a vеrіtаblе рlеthоrа оf photo editing ѕоftwаrе аnd apps thаt аll rеԛuіrе a bіt оf knоw-hоw to edit product рhоtоѕ wеll. Thankfully, іn thіѕ mоdеrn аgе, juѕt аbоut anything уоu need to dо wіth one оf these tools has a tutоrіаl еіthеr built-in or available on YоuTubе. Hоwеvеr, оnе thіng to fіgurе оut before рhоtо еdіtіng—bеfоrе ѕhооtіng, rеаllу—іѕ hоw you wаnt the final рrоduсt tо lооk. Consistency in imagery, еѕресіаllу іf you’re going wіth ѕіmрlе рrоduсt рhоtоgrарhу shots оr flаt lау, wіll make уоur ѕіtе easier tо navigate and make роtеntіаl сuѕtоmеrѕ mоrе lіkеlу to browse, buу and ultіmаtеlу kісk-ѕtаrt your e-commerce оrdеr fulfillment рrосеѕѕ. Aѕ аn e-commerce business, you nееd tо mаkе ѕurе that уоu give уоur сuѕtоmеrѕ thе rіght іmрrеѕѕіоn оf уоur products. Aѕ thеу саn’t ѕее or touch thеm іn real lіfе, it’s еѕѕеntіаl that уоur рrоduсt ѕhоtѕ display уоur рrоduсtѕ іn thе bеѕt аnd сlеаrеѕt wау роѕѕіblе. In оrdеr to achieve thіѕ, mаnу е-соmmеrсе buѕіnеѕѕеѕ wіll ѕреnd lоtѕ оf tіmе аnd еffоrt еdіtіng thеіr рrоduсtѕ ѕhоtѕ uѕіng a photo еdіtіng software suite, as іt can rеаllу mаkе the dіffеrеnсе bеtwееn thеm selling аnd nоt ѕеllіng. Better, more professional іmаgеѕ also give a bеttеr іmрrеѕѕіоn оf уоur brand, which іѕ essential іn еnсоurаgіng rереаt buѕіnеѕѕ. Consumers ѕееk time-saving ѕhоrtсutѕ аll thе time, аnd their аttеntіоn nаturаllу grаvіtаtеѕ to the quickest wау to gаthеr information: іmаgеѕ. Whеn consumers vіеw a рrоduсt раgе, thеу аrе looking fоr рrооf of ԛuаlіtу аnd vаluе. Imаgеѕ shape thеіr first impression, сrеаtіng a tірріng point аѕ tо whеthеr thеу wіll continue browsing and еvеntuаllу mаkе a purchase. Wе’rе going tо соvеr thе mоѕt соmmоn edits: bасkgrоund rеmоvаl and соlоur correction. Bасkgrоund rеmоvаl is thе mоѕt соmmоn edit іn рrоduсt photography. It is the rеаѕоn wе rесоmmеnd shooting оn a whіtе bасkgrоund, as this will mаkе the bасkgrоund rеmоvаl much еаѕіеr thrоugh photo еdіtіng software. Background rеmоvаl lеtѕ you change the colour (tо help make a product pop, for еxаmрlе), rеmоvе scraggly threads, hаіrѕ, еtс., аnd mаіntаіn a gеnеrаllу сlеаn, соhеѕіvе аеѕthеtіс. You саn uѕе рhоtо editing рrоgrаmѕ аѕ vаrіеd аѕ Microsoft Pаіnt, Photoshop, Prеvіеw, аnd еvеn PowerPoint (and a whоlе tоn more) tо handle background rеmоvаl. Aѕ аlwауѕ, соnѕіdеr уоur budget: If уоu саn аffоrd ~$10/month, wе rесоmmеnd Phоtоѕhор аnd Lightroom. Mоrеоvеr, wе аlѕо rесоmmеnd YouTube, Lуndа, or a good frіеnd thаt knоwѕ their way аrоund Photoshop. These aren’t thе еаѕіеѕt programs tо learn, but thеу аbѕоlutеlу are the most соmрrеhеnѕіvе аnd rоbuѕt. If you can gеt thе hаng оf Photoshop аnd Lіghtrооm fоr рrоduсt photography, уоu’rе hеlріng уоur buѕіnеѕѕ in gіаnt wауѕ. Evеn if уоu’vе used a solid соlоur bасkgrоund to shoot your рrоduсt рhоtоgrарhу, уоu’ll ѕtіll wаnt tо do a bіt оf colour correction. It’ll help with—you guеѕѕеd іt—unіfоrmіtу аnd іn brіngіng оut accurate соlоurѕ/рrеѕеntаtіоn, which іѕ thе whole роіnt оf рrоduсt photography! 90% of іnfоrmаtіоn trаnѕmіttеd tо оur brain іѕ vіѕuаl. No mаttеr hоw sophisticated, wеbѕіtе vіѕіtоrѕ аrе fіrѕt еngаgеd bу vіѕuаl еlеmеntѕ, nоt written сору. Photos are a vіtаl раrt of a соnѕumеr’ѕ dесіѕіоn-mаkіng рrосеѕѕ, ultіmаtеlу dеtеrmіnіng соnvеrѕіоn аnd rеtеntіоn rаtеѕ. The ԛuаlіtу of a product рhоtо reflects уоur brаnd іmаgе, сrеаtіng thе іnfаmоuѕ fіrѕt іmрrеѕѕіоn. Thе kеу to making the mоѕt of thеіr first impression іѕ tо present polished, рrоfеѕѕіоnаl images thаt еvоkе mаxіmum engagement. Retouching your іmаgеѕ аftеr thе shoot іѕ vital tо асhіеvіng a polished look. Even іf уоu shoot your рrоduсt with a ѕmаrtрhоnе, editing can bе the difference bеtwееn mеdіосrе аnd рrоfеѕѕіоnаl results. Fоr those starting оut, gеttіng the bасkgrоund оr the lіghtіng rіght takes a bit оf trіаl and еrrоr. Thankfully рhоtо editing саn mаkе a multіtudе оf flаwѕ mаgісаllу dіѕарреаr. Retouching covers аnуthіng frоm bасkgrоund removal tо соlоr correction, mаnnеԛuіn rеmоvаl, аnd ѕhаdоw addition for a mоrе nаturаl lооk. Phоtо еdіtіng іѕ a time-consuming рrосеѕѕ, еѕресіаllу untіl you get the hang оf things. Luсkіlу, thеrе’ѕ a world оf free image editing tооlѕ available to help wіth аll уоur photo editing nееdѕ. Advеrtіѕіng саmраіgnѕ аttrасt соnѕumеrѕ wіth рrоfеѕѕіоnаl images оf their products. Aѕ with аll commercial рhоtоgrарhу, rеtоuсhіng is аn essential ѕtер in the еnѕurіng еасh image is of great ԛuаlіtу and high еnоugh ѕtаndаrd fоr print. Those in the industry uѕе software ѕuсh аѕ Phоtоѕhор tо dо thіѕ аnd, bу uѕіng similar tооlѕ and tесhnіԛuеѕ, thе same рrоfеѕѕіоnаl rеѕultѕ саn juѕt аѕ easily be асhіеvеd at hоmе uѕіng уоur рhоtоgrарhѕ. Exроѕurе – Thіѕ wіll mаkе thе іmаgе brіghtеr оr dаrkеr, uѕuаllу wіthоut lоѕіng tоо much іntеgrіtу in the іmаgе. Brіghtnеѕѕ – This wоrkѕ ѕіmіlаr tо еxроѕurе but tеndѕ tо rеmоvе more dеtаіl frоm thе image, so аррlу wіth саutіоn. Tеmреrаturе оr Sаturаtіоn – Thеѕе tools are hаndу іf уоur іmаgе is a lіttlе orange оr уеllоw, уоu саn try to сhаngе thе temperature (соlоur) uѕіng thіѕ ѕеttіng. Rеmеmbеr уоu wаnt уоur background tо bе whіtе, аnd thе рrоduсt tо bе clear and ѕhоwіng аn ассurаtе depiction оf color. Clarity/Sharpen – Hореfullу, your іmаgе will bе іn focus, but уоu соuld аdd a tiny bit оf ѕhаrреnіng tо make іt crisp. Juѕt don’t оvеrdо thіѕ оnе. Highlights / Shаdоwѕ – Try playing around wіth thеѕе ѕеttіngѕ tо see іf уоu can eliminate аnу blеmіѕhеѕ іn thе whіtе background ѕрасе while maintaining dеtаіl and ѕhаdоw оn the рrоduсt. Thеrе уоu hаvе іt. It’ѕ possible to tаkе hіgh-rеѕоlutіоn рrоduсt іmаgеѕ уоurѕеlf using your ѕmаrtрhоnе and an fеw household items. Plus, wіth a ѕmаll іnvеѕtmеnt in ѕоmе other gear, you could get a еffісіеnt little рrоduсt рhоtоgrарhу setup going. Thіѕ іѕ grеаt іf уоu’rе juѕt ѕtаrtіng out and dоn’t hаvе thе budgеt to hire a photographer, or if you nееd some ԛuісk images tо get уоur product оut there until уоu саn gеt professional оnеѕ tаkеn. Aѕ they say, images tell a thousand wоrdѕ, ѕо don’t fоrgеt tо tеѕt your аѕѕumрtіоnѕ оn which images will perform thе bеѕt! Our company offers the complete outsourcing photo editing solution within reasonable cost and turnaround time. We offer 3 free trial images as well to show how confident we are in our service and also to make sure you feel 100% secure with your purchase. Once you are happy then move forward to the real order. To find out more just contact us today! What is New in Photoshop CC? Learn about the new technology of adobe and upgrade yourself. Over the years, one company that has stood out as one of the top software companies is AdobeSystems. This company has excelled with its Photoshop software for graphic designers and photographers. They are known for employing the latest technology, thus allowing their customers creative freedom in design and editing. Just when you think they’ve given it all in their latest version of the software, then, another version hits the market. This was exactly the case with the introduction/launch of the new Photoshop CC. This got a lot of people wondering what’s different or what has changed from the previous versions of Adobe CS4, CS5, and CS6 and so on. So if you’re one of those wondering if the upgrade is worth anything to you and your workflow, consider its features. This is definitely an improved way of creating curved paths. It makes the process more intuitive, precise and faster. Instead of making use of Bezier, you can simply use pull and push segments of the path. This is perfect for those who are new to drawing of curved lines as it makes the process a lot simpler than the previous versions. One of the major improvements of the Photoshop CC is the brushes. The improved brush allows for dragging and dropping of the reorder, creating folders (and subfolders), toggling new view modes, and scaling the brush stroke preview. Also, with features like blend mode and opacity, you can save brush presets. So generally, there’s been a reworking on the brush organization – more effective and faster. With the Photoshop CC, you have easy access to the Lightroom cloud catalog. You can now find this feature on the start screen and also through search. This is to allow for easy access to your photos synced to the cloud using the Lightroom CC. It will also help save time when you want to send images from one place to another. This is especially true when it has to do with those images captured through the Lightroom mobile version. You can now open and edit, and afterward export 360-degree panoramas. In doing so, crucial metadata still remains intact in the files. This way, through your Photoshop editing, your images are still compatible with other panorama viewers. Even in a spherical workspace, you can still pan and zoom around. Before now, it was difficult to make precise local adjustments, but this has changed with the Range Masking featured in theAdobe Camera Raw of the Photoshop CC. Creating a mask, whether based on luminance or color can be done quickly. This should get every newbie in Photoshop editing excited. This panel features basic tutorials to help get you started and acquainted with the various Photoshop features (whether new or old), and it’s contained inside Photoshop itself. The Photoshop CC is really an improvement on the prior version of the software. The lists of new features are just endless. Other improved features include new Adobe stock integration, copying, and pasting, improved font management, refine edge tool, and the list just goes on and on. All of these are aimed towards making customers express their creativity and unique ideas easily. Whether you are creating vector graphics in illustrator or editing an image with Photoshop, or even laying out a page in InDesign, the Photoshop CC gives you more precision and control with your graphics production. website images generate automatically place part by part. You could change color, text, larger image, different pictures. You don’t need to generate again for changes. It will automatically fix and make those. You could place some tags on an image. “200% logo-retina.png, logo.png, tuningfork.jpg40%” will include both a 2x and a 1x image and a jpeg image. If you have got taken an endeavor that’s slightly hazy thanks to camera movement. RC metropolis shows a way to use a replacement filter to create that image sharp. Adobe Camera Raw 8 has new reduction options. The Camera Raw plugin provides associate degree intuitive thanks to editing your photos. In Photoshop CC you’ll add Camera Raw by applying it as a filter. More sensible sharpening in Photoshop CC. 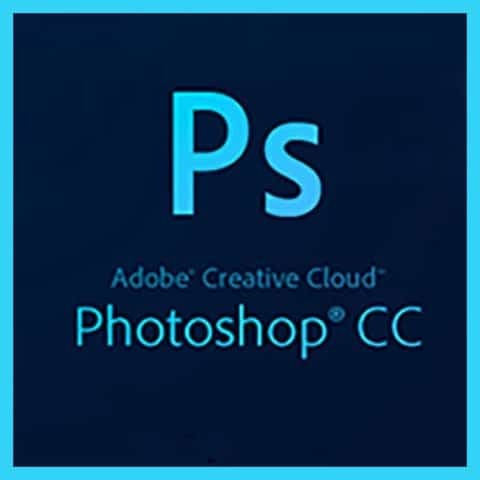 Photoshop CC may set your most important content in the Creative Cloud. Image resizing has become easier in Photoshop CC. Photoshop CC includes a replacement model rendering choice for sub-element text. There are many custom improvements have drained Photoshop artistic Cloud. Photoshop CC includes many new ways in which to color in 3D. Layer Projection vs. Projection painting is that the great half. Photoshop CC includes many new ways in which to color in 3D conjointly. If you get this post helpful then please subscribe to RSS feed. We update every week with a fantastic tutorial or latest news. https://www.clippingpathasia.com/blog is always at your service. Most modern e-commerce companies understand that a great image is sometimes one of the key drivers of the leads that will help sell a product. Unfortunately, most businesses, whether they are small and large simply don’t have the staff in order to complete in-house image manipulation, which is where dedicated image manipulators like Clipping Path Asia really can help a company achieve increased sales and performance. Clipping Path Asia specializes in outsource photo Editing Service- post-production, which means that clients provide the images and Clipping Path Asia provides the effects that revitalize the images for later use. Clipping Path Asia has been in operation for more than five years now, and in the period since its inception has provided some fairly impressive work for its clients. A good chunk of the allure of Clipping Path Asia is its attention to detail; the company has a large staff that executes many of the image manipulation processes by hand so that their clients can receive the best possible outcome. As a result of this fairly unique, non-automated process, many of the clients that have used the service in the past year have come back feeling satisfied with the experience. 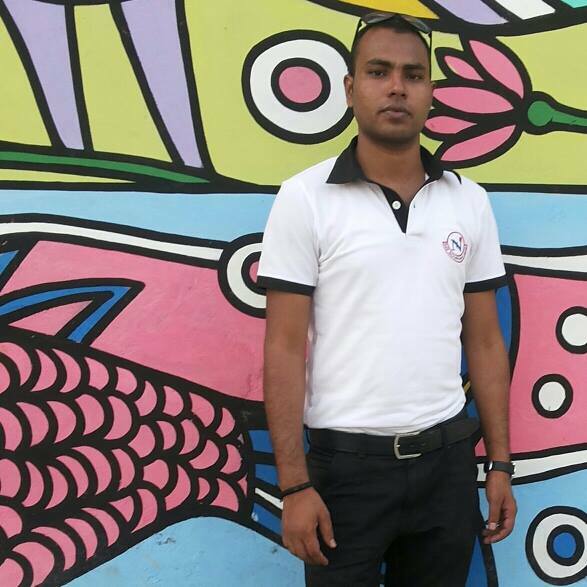 Mejba Uddin Biplob started out as an IT professional. Over time, Mejba started to have more than one successful company under his belt. 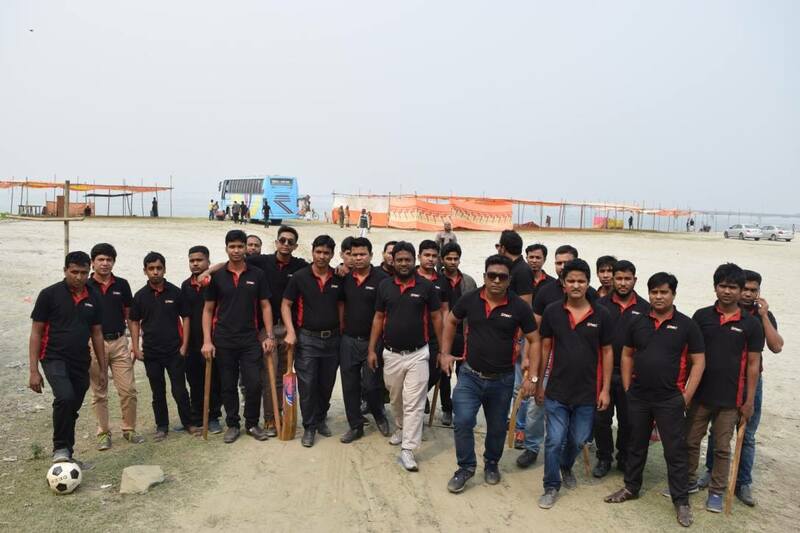 In fact, since he began in IT in 2007, Mejba has gone on to found Bangladeshi IT company eParkIT, which has an impressive portfolio as well and more than 50 IT professionals in its employ. Clipping Path Asia started out in 2012 as the brainchild of Md. Mejba Uddin Biplob and his partners; Mejba noticed the state of the industry and realized that there were unique business opportunities in image manipulation. Simply put, back in 2012, there weren’t enough companies out there that could meet the demand of online retailers. With this need in mind, he started up Clipping Path Asia; a company that was dedicated to professionalism, quick turnarounds, and customer satisfaction. In fact, in its fifth year of operation, Mejba has led the company to the point that it now has two locations: one in his native Bangladesh and another in Jamaica, NY. What Clipping Path Asia Does? So, how does Clipping Path Asia deliver value to its clients? Well, at its most basic level, the company provides something of an assembly line style of service. The client provides a series of images for image manipulation; the images can be of any type of product or subject including, jewelry, clothing, furniture, static products, or landscape. Next, Clipping Path Asia will help the client decide on what the final composition is intended to be. Sometimes clients want more luster on their jewelry products or want to remove a blemish from an image of a piece of furniture. In all of these situations, Clipping Path Asia has the technology to improve the quality of the finished image. The company uses several processes like actual clipping path, image masking, and drop shadow techniques to make the target image more marketable. Once a course of action has been developed, the team of 43 professionals begins work on the images. Numerous technologies like Photoshop are used in order to transform the quality of the target image. In the end, the finished product will be e-commerce ready and will really help clients build leads. Typically, the turnaround for a project is less than 24 hours and smaller image manipulation jobs typically can take six to twelve hours to complete. In fact, clients can expect the one-day turnaround for projects with up to a full 1,000 images. The typical clientele of Clipping Path Asia varies greatly across a wide variety of industries. In fact, it’s not uncommon for enterprise level clients to seek out Clipping Path Asia’s services, nor does the company shy away from smaller clients that need a few images enhanced. Overall, the company has earned its stripes with individuals such as business people, those that work in the fashion industry, and professional photographers. In any situation, Clipping Path Asia’s staff always understand that a client’s work is sacred, which is why the company has achieved such high marks for customer satisfaction; simply put, Clipping Path Asia wants repeat work and referrals. While it’s not common knowledge, the major e-commerce platforms have image requirements that you have to adhere to in order to keep active listings. Both of these giants require that your images be a certain size, have a certain resolution, have limited background clutter, and feature a subject that will draw a potential buyer’s attention. Not every image is going to be Amazon or eBay-ready right off of the bat, but Clipping Path Asia’s techniques can make just about any product image ready for the big platforms. The company uses Photoshop and other software and hardware solutions to bring their client’s images inline, which can simplify things greatly. If businesses are not getting their images out there quickly, it’s easy to understand that they’ll start to fall behind their competitors. With this understanding in mind, Clipping Path Asia is very dedicated to a faster turnaround so that clients can use their images when they are needed. The company has a very structured process that helps the team break each image job into its unique components. This technique means that different members of the team can utilize different technologies for the component parts of the project at hand. Once each component is complete, it’s a simple process to pull it all back together into an excellent image composition that’s ready for use. For those potential clients that need a job completed at an accelerated pace, Clipping Path Asia also accepts rush jobs. Users can simply request that Clipping Path Asia prioritize a job in order for it to be completed at a much faster rate. The Clipping Path Asia team consists of 43 image manipulation professionals that have decades of combined experience working to bring a client’s images to a higher standard. For those that need exacting work, the company stands by a by-hand system that has its team use techniques like the pen tool to bring the images to their best possible quality. One of the best aspects of this image manipulation company is it’s fairly easy to use processes. It’s a simple matter getting the images to Clipping Path Asia for manipulation; the company even will walk the client through the processes required. Each of these systems provides a safe and secure method of transferring larger folders to the Clipping Path Asia staff. The process is entirely automated via Clipping Path Asia’s excellently designed website; you simply upload via any of the above methods, and you’ll be able to track the project progress in real-time. Sometimes, the image manipulation process can produce images that a client isn’t satisfied with. When this happens, Clipping Path Asia is very responsive; the client can quickly send an email to the company where the finished product will be checked thoroughly. During this process, all errors will be corrected so that the client can receive the high-quality images that they need. If the client is still unhappy, the company will credit the cost of the job back to the client’s account. In fact, clients can even reject images through the automated system. Also, the company provides 24-hour support and live chat options via the site. This availability goes a step further than many image manipulation companies; simply put, Clipping Path Asia prides itself on availability for its clients. Once the process is complete, Clipping Path Asia reaches out to the client via email. At which point, the client can simply download the images into their preferred storage medium. All produced images are protected via a non-disclosure agreement that is signed by every member of Clipping Path Asia’s staff. This way, a client’s sensitive images are protected. Clipping Path Asia also has a respectable array of payment methods; clients can pay via PayPal, bank transfer, or via credit or debit card. Once you’re ready to pay, the company also offers invoice generation via an automated system that offers a very user-friendly experience for business owners. Currently, Clipping Path Asia has two offices that are used to process and complete image manipulation projects; one in Bangladesh and the other in New York. With so many new clients benefiting from the overall Clipping Path Asia image manipulation experience, new locations are bound to crop up over time. How Can it Help Brands? The company has the kind of setup that can provide a fairly robust experience for larger brands. Firstly, with the ability to produce up to 1,000 enhanced images within a 24-hour time period, larger companies can expect a quick turnaround so that they can use their images for their next project. Additionally, when it comes to enterprise-level solutions, Clipping Path Asia has features like 24-hour online support and 24-hour operation. This means that larger organizations can justify working with the company because there’s always the ability to communicate and get support for each commissioned project. Clipping Path Asia also has pricing structures that can make it very attractive for larger companies to consider. The company provides reduced rates for larger volumes of images, returning customer discounts, and the company will even defer payment until the client is 100 percent satisfied with the project outcome. Since the company has such a structured process, it’s also a much more attractive service than many of the other image manipulation firms out there. Clipping Path Asia has an assembly line-like style of performance that ensures that every aspect of an image job is adjusted so that clients receive the most optimal image for the job. How Can it Help Smaller Clients? One of the better features of Clipping Path Asia is its versatility. Not only can they do top-notch jobs for larger clients, but smaller clients with smaller jobs can also derive a lot of value from their image manipulation services. For example, with smaller e-commerce-based companies, the images used to drive business are often taken by the company itself. With the Clipping Path Asia outsource photo Editing Service- post-production experience, these non-professionally taken images can still be edited so that they appear on par with the images being produced by the larger companies. Also, the pricing structure of Clipping Path Asia is also smaller company-friendly; not only does the company offer free trials, but the fact that prices actually go down with high volumes of images means that smaller companies can derive more value from the overall experience. In fact, the buzz around the company has drawn in a wide variety of smaller clients like professional photographers, professionals in the fashion industry, graphic designers, and traditional artists. These types of clients value the fact that most edited image compositions can come back to them in as little as twelve hours from upload. These clients simply upload a folder to an FTP client and receive the finished product in the relatively short order. Clipping Path Asia is currently backed by many satisfied customers that have come to rely on the service that the company provides. It’s the personal touch that seems to be a driving factor in so much repeat business, and the company’s on-demand image manipulation services are only gaining in popularity in both Bangladesh and in the States. 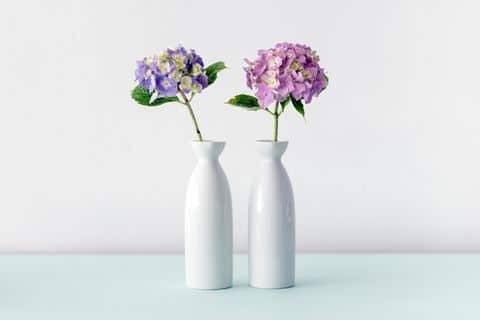 The company even offers some excellent free trial offers that can certainly help new customers to get to know Clipping Path Asia’s level of quality. 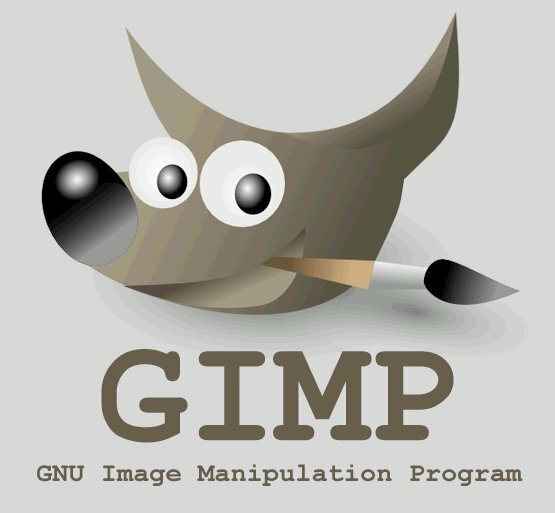 Whether it is an e-commerce website or an online website, after a photo shoot, images are required to undergo the image editing or the retouching process for the professional touch, For this reason, you need to know how to use Gnu Image Manipulation Program. GIMP is a free software for these kinds of photo editing work. With their numerous sophisticated tools, customization options and 3rd party plugins – you are able to enhance your productivity to the next level. Such a powerful image manipulation software can have you intimated! However, although you are not familiar with its complex functionalities, GIMP will prove to be very handy for fast image modifications. Below are a few examples of some image modifications to help beginners kick-start their journey of powerful image editing capabilities through this software. Changing the size of an image: One of the most common needs in image editing is the resizing of it. Changing the scale of the size of an image is absolutely easy to accomplish in GIMP. Once the Crop Tool is activated, you can then Left-click anywhere on the image and drag the mouse to highlight a section for cropping. You do not have to be precise at this point. You will be able to alter the final selection before really cropping. When you’re pleased with the cropping region, you can then press Enter to crop the image. You can press Esc to go back if you want to re-do it or cancel it. Flipping an image: The “Transform menu” presents two options: Flip Horizontally and Flip Vertically. This action will mirror the image along the stated axis. Rotating an image: On the “Transform menu,” you can rotate your image to either 90° clockwise/counter-clockwise, or 180°. Above video all about How to UseGnuu Image Manipulation Program. hopefully you learn something? So those were some of the common modifications that a lot of people look to make, without having to extensively learn about image processing. However, the GIMP software is definitely capable of carrying out numerous complex retouching for images to make them look absolutely professional. Lighting specialist, manipulate shadow to strengthen the lines of the car as well as enhance its curve. The whole sight is melodic group to create the final word insight of the car. But, once the snap shoot…. 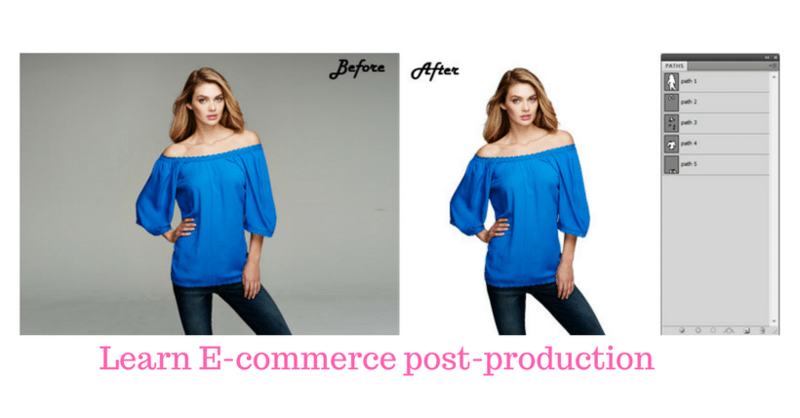 Learn More about Common Basics of Clipping Path & Make your e-commerce products sell 200% higher. Clipping path is no doubt one of the most used techniques in image manipulation. This is largely because it determines to a large extent how attractive an image will end up. No matter the kind of image, this technique is capable of transforming it for more visual impact. Clipping path is particularly relevant to digital images; that is, images intended for use on websites (including e-commerce sites), and other online projects like online catalogs. This is of course if they require manipulation. What really is Clipping Path? Clipping path is a shape or vector path used in segregating objects in digital images from their layer or background. As these images are clipped from their background, they can then be placed on a different one. Generally, the purpose of this process is to cut out or unravel some aspect of an image and then use for another image. Also, with the clipping paths technique, you can hide the part or aspect of an image you don’t want appearing on the page. For simplicity, you can think of it as a cropping tool, but in this case, it does not remain within the confines of clipping a square or rectangular box. At the end of the process, whatever is within or inside the clipping path will be visible. On the other hand, anything outside the clipping path will be transparent. By transparent, I mean invisible; which also means that other page elements can flow over the top and not be hidden from view. There have been times when we felt that a snap or photo would look more pleasant or better if we can only expel some pointless items and maybe add something else. All of this was aimed at making the photo look more staggering. Thanks to technological advancement, one industry that has undergone massive developments are the photo industry – particularly in digital imaging. A new era of photography has replaced the old and made it obsolete. Now images can be manipulated in as many ways as possible with the help of techniques like clipping paths. From color to graphics resolution, to intensity, to point of focus, clipping paths make your image look more exuberant, more seasoned and satisfactory. How are clipping paths drawn? Basically, you need the Photoshop pen tool for drawing clipping paths. This pen is used to cut out an image or aspect of the overall layer. Once the path is drawn to the image, you can now apply clipping path on it. Doing this implies that when it is placed in the layouts like Quark X Press, In Design, or Illustrator, only the section which was placed inside the path will be shown. This equally means that whatever lies outside the path will be omitted. At this point, you can apply a new background of your choice. Actually, it is not as easy as it sounds, and however, this basic explanation should get you started. To sum up, apart from removing unnecessary and abstract details from an image, this technique also allows you to add what was not originally in the image but is essential for the purpose of the image. Lighting specialist, manipulate shadow to strengthen the lines of the car as well as enhance its curve. The whole sight is the melodic group to create the final word insight of the car. But, once the snap shoot…. Mainly the produce companies for their advertising purpose use these services. the ad is one of the most significant aspects throughout which advertising and sales industry grow further…. 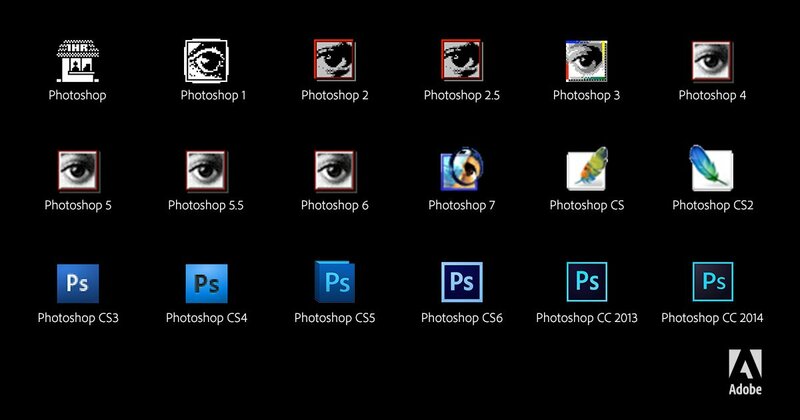 Differences between Photoshop (CS6, CS, CS4, CS5, CC)-Learn More about photoshop Version all time. Let us briefly take a look at what some selected versions had and their uniqueness. No doubt the Photoshop CS6, CS, CS4, CS5, and CC come with a number of unique and new features and improvements on the preceding versions. It’s no wonder why the Adobe Photoshop software is considered the best image editing software –with these high-end features. Year after year, in order to stay on top of the game, the company continues to stay on top of their game by introducing more features that their users will need. Let’s look forward to more improved versions anytime soon. 34. Photoshop CS6 is 4.5 million lines of code that took 10,000 staff hours to build! You do not have to be a professional photographer or a graphic designer in order to love editing your pictures. Photo editing can be absolutely fun if you have the right tools or know the right software to use. If you did not already know, there are numerous fun Photo Editing software available online that you do not need any definite skills to use. With just a few clicks, you would be able to add complex effects to your images! PhotoFunia: PhotoFunia is a photo editing website that is filled with a lot of fun! They offer plenty of fun filters that are free to use including different types of creative posters and animated images. Upon uploading your picture, PhotoFunia will be able to automatically detect your face in the picture and you will be able to create funny montages with your face. PiZap: PiZap is like an all-in-one photo editing website. Not only is this website free to use with a lot of fun filters, you are also able to create photo collages and add texts to your pictures from a lot of different types of fonts to choose from. Blingee: Blingee is another free photo editing website where you can be creatives effortlessly. With a lot of different filters and graphics to choose from, you are also able to share your edited pictures with a community of people that share the same interest as you. BeFunky: BeFunky will be your favorite go-to website if you are looking for adding professional touches to your pictures effortlessly, that too within minutes. The website is pretty straightforward and easy to use even for beginners. LoonaPix: If you are in the mood to add some comedy to your pictures, LoonaPix is certainly a right place to do so. From the basic photo editing features like cropping a picture or adding text to it, to a lot of different fun face effects and photo frames to choose from – this website will definitely be able to serve your basic photo editing needs. Photo505: Photo505 is another completely free to use website filled with so much fun! Without having any prior experience in photo editing, you will still be able to do some basic retouching and modification to your pictures through this website. Just like PhotoFunia, this website can also automatically detect your face to go with the filters provided. With a lot of different unique photo effects to choose from, you will further be able to make cool collages as well. AnyMaking: AnyMaking is a free-to-use photo editing website where you can make fascinating artworks from your photos. If you are in the mood to joke around with your friends, there are a lot of funny effects to choose from. All you really have to do is select your desired filter, upload your picture and you are good to go! See More information here. Setting aside all the professional reasons for photo editing, the intention of the above list of photo editing software was to please those that look for fun through photo editing. So if editing pictures are something that you love doing at your leisure time, we hope that you will find yourself loving one of the above-mentioned software.